The United States, Japan and Australia have expressed "serious concerns" over disputes related to the South China Sea. The three countries are calling for a halt to land development and military actions in the area that could increase tensions or cause permanent environmental damage. The countries released a joint statement Monday after U.S. Secretary of State Rex Tillerson held talks with the foreign ministers of Australia and Japan. The talks took place in the Philippines, during a meeting of the Association of Southeast Asian Nations (ASEAN). The three countries called on China and the Philippines to honor an arbitration ruling made last year. The International Court of Arbitration in The Hague denied much of China's territorial claim to the South China Sea. The waterway is also claimed, in part, by Taiwan, Brunei, Malaysia, the Philippines and Vietnam. The statement also appealed to ASEAN members and China. It noted that they have talked about developing rules of behavior for countries with claims to the South China Sea. The statement urged them to make sure such a code of conduct be "legally binding, meaningful, effective, and consistent with international law." The code of conduct would be aimed at avoiding accidents as the claimant countries fish, explore for oil and gas or develop some of the estimated 500 islands. China's government has resisted calls to make the agreement legally binding. In a statement on Sunday, ASEAN ministers said they "warmly welcome improving cooperation" with China. The ministers also said they are ready to begin substantive negotiations on the code of conduct, but made no mention of making it a requirement for the claimant countries. 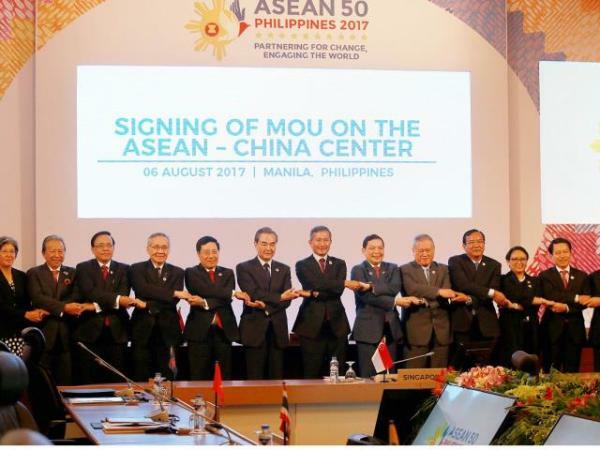 The ASEAN ministers also noted concerns expressed by some members about land reclamations and noted "the importance of non-militarization." The Prime Minister is calling for new restraints on trade unions. The nation must limit land development. The statement made no mention of government casualties. This causes environmental damage when the topsoil is washed away by the rains. 1.The United States, Japan and Australia have expressed "serious concerns" over disputes related to the South China Sea. Light industry is closely related to agriculture. Unemployment benefits are directly related to previous earnings. 2.The waterway is also claimed, in part, by Taiwan, Brunei, Malaysia, the Philippines and Vietnam.